The life of the Buddha has been a great source of perennial inspiration to scholars, artists and poets since the early times. Many events from the life of the Buddha have inspired some of the greatest relief compositions in Indian art, which have been depicted in sculptures and monuments. 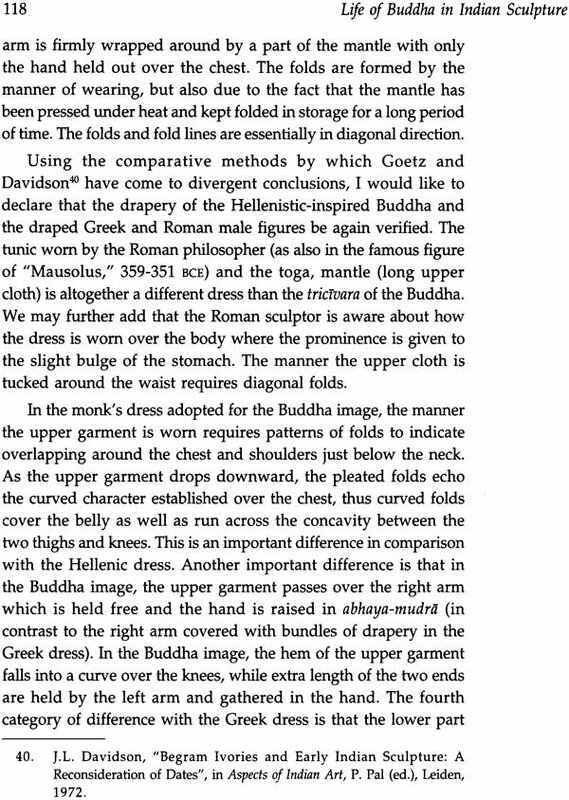 Tracing the beginning of narrative compositions in relief’s delineating the life of the Buddha, the book analyses the sculptural depictions of events of the Buddha’s life in the context of several biographical texts. The episodes represent the Buddha’s birth, enlightenment, first sermon and miracle at Sravasti, descent from Tusita heaven, subduing of Nalagiri, culminating with mahaparinirvana. The book explores how some of Buddha’s basic teachings are linked with certain specific episodes of his life. It highlights the difference between representations of the same events by artists at various periods and places and the differences between he textual description and its sculptural counterpart. It also undertakes a survey of the inspiration provided by the theme of the Buddha’s life to devotees and artists in other Asian countries as revealed in their iconography and sculpture. Supported by over 210 illustrations including drawings and photographs, it reveals the process of symbolization in visual forms and participation of the sculptors in the process. It shows that the sculptural relief’s provide a fascinating insight into the creative mind of the Indian artist: how he invented visual devices and integrated them into the formal structure and the story content and imparted meaning in each sculptural relief. The volume will be essential reading for students and scholars of art history and Buddhist art in particular. Prof. Ratan Parimoo is a noted art historian and critic and art teacher who has specialized in traditional and contemporary arts of India. He was Head of the Department of Art History & Aesthetics from 1966 to 1991 at the Maharaja Sayajirao University of Baroda. As a Commonwealth scholar, Prof. Parimoo studied History of European Art at the Court auld Institute of Art, University of London (1960-63). He received the Rockefeller Grant to study in the USA in 1974. He was invited to participate in the twenty third World Congress of the International Society of Education through Art, held in Australia in 1968. He is the editor of the encyclopaedic critical anthology Creative Arts in Modern India. In 2010 he edited “Historical Development of Contemporary Indian Art 1880-1947.” His publications include Painting of the three Tagore’s: Abanindranath, Gaganendranath and Rabindranath; Studies in Modern Indian Art; Sculptures of Sheshasayi Vishnu; and Essays on New Art History: Studies in Indian Sculpture. He is also an eminent painter. 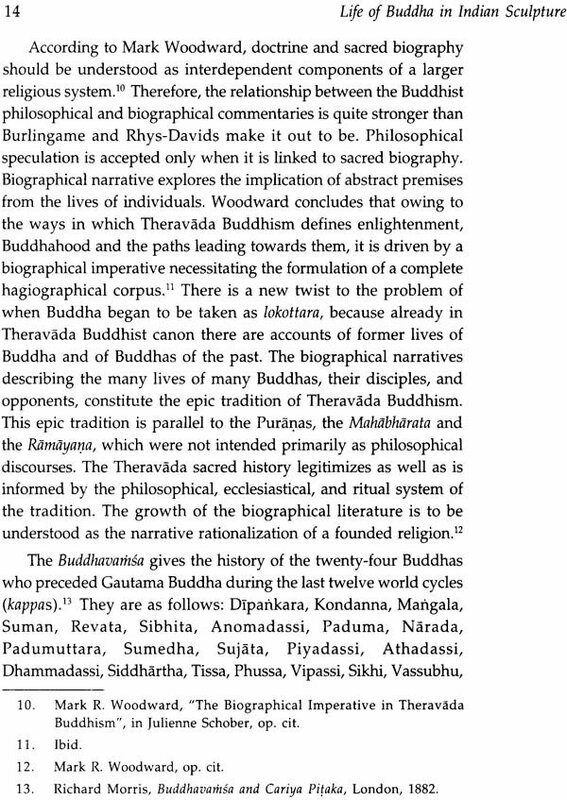 Dr Parimod’s book on the main events from Buddha’s life is a welcome addition to the study of Buddha’s life in several versions by several authors. It is rightly said that a literary composition stands out bright by the importance of the personality that is discussed: upaslokyasay mahatmyat ujjvalah kavyasampadah. Buddha’s life has been a perennial source of inspiration to poets and scholars beyond all count. It Asvaghosa wrote two thousand years ago, Foucher wrote in our own time. These are different versions of Buddha’s life, each fascinating in itself. The sculptor and painter along with the metal craftsman have given telling versions of the major incidents. It is sometimes a narrative in epitome of Buddha’s life, occasionally a complete pictorial narration as at Borobudur, and mostly chosen episodes of major importance. They had such a good grounding in literature that their sources are often revealed in their artistic versions. The Visnudharmottara is clear about versatile equipment in the different arts and literature for everyone to shine in any one field of art. Dr Parimoo has tried to see how the sculptor has followed or deviated from texts describing events. This study is valuable for understanding the sculptures and sculptors. He has liberally chosen a number of plates to effectively drive home his points of discussion and they add to the utility of the book. He has documented his conclusions with liberal notes. The book has a glossary of terms that is very helpful to readers. Besides, with my own growing age, aware that I am tackling the subject after a gap of some 25 years, it was my feeling that is is possible to focus on Buddha’s personality, as well as at least the early Buddhist teachings directly attributed to the Master, which are part of his uniqueness. The Buddha is what he has been assumed by the faithful, by the philosopher and by the artists, viz. sculptors and painters. 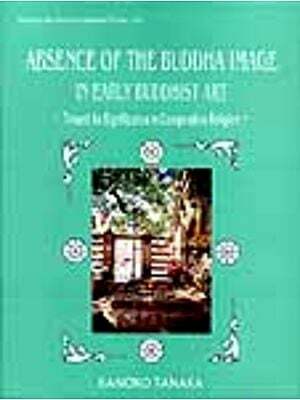 To attempt a full chapter on the origin of Buddha image was tempting, because the biographical texts have a strong impact on the psyche of the gurus, devotees and the artists, which nullifies the very notion of a presumable chance acqua – instance with a foreign (viz. European) model. 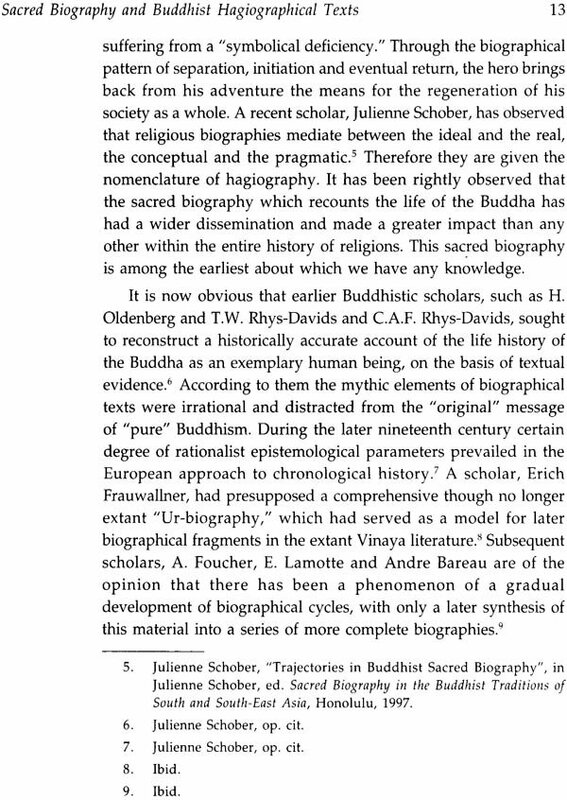 The support of texts and in-depth analyses by scholars like Stella Kramrisch, was a new revelation to me to re-open the debate on the indigenous factors stimulating the formation of Buddha image, providing intense impetus and serving as back bone. 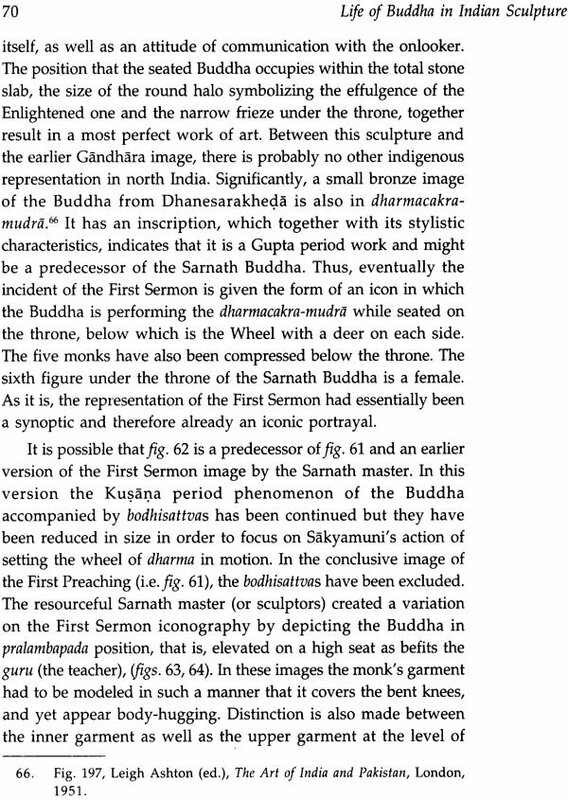 As a painter and art historian I have drawn attention to how much actively involved the navakarmikas, sutradharas, and sthapatis were in this vast and great enterprise of portraying and perpetuating the Buddha personality. This is the con-clusion of a longer “Epilogue.” This enlarged version, in its totality in some way, offers a contextuality to our subject to study and to qualify it to be accepted as a contribution towards New Art History. 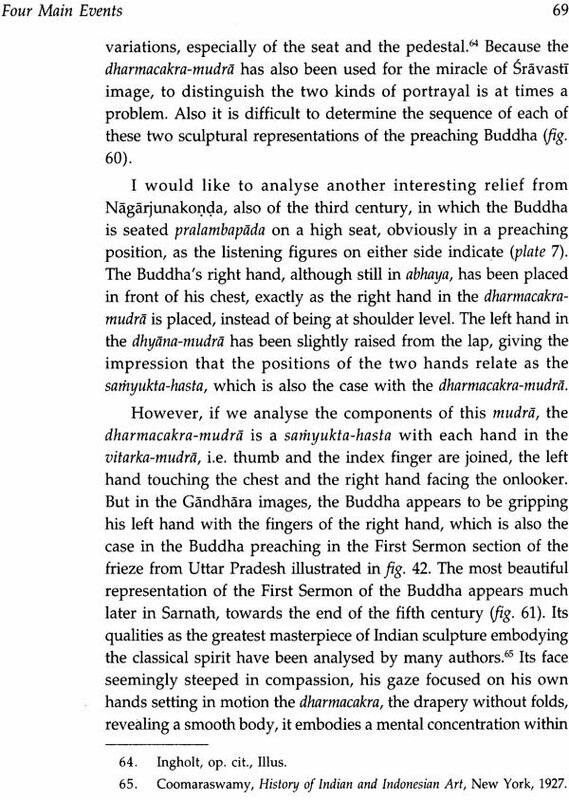 It is hoped that this expanded text with additional sculptural images, could serve the purpose of an essential coverage of the Buddha’s life, useful to art historians as well as students of Buddhism. It is troublesome for the students to pronounce the words correctly as in Sanskrit and Pali. So to facilitate the students a Glossary of terms in both the languages has been appended. Besides, diacritical marks have been used for transliteration of original Sanskrit and Pali words. In expanding and systemizing the photographic documentation I have received the collaboration Dr Rita Sodha, while fresh digital photography was painstakingly carried out by Mahesh Padia. Shweta Brahmbhatt worked on the computer undertaking the tedious job of deciphering my handwriting. 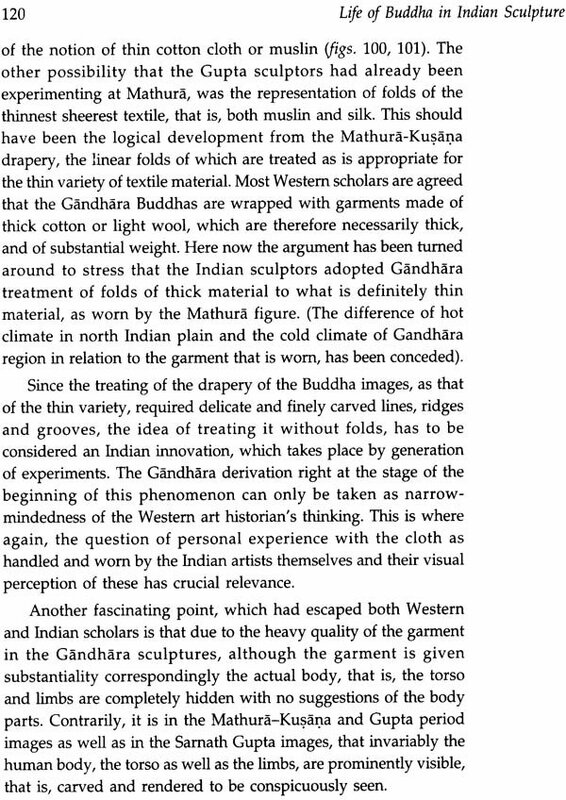 This study of the relief sculptures depicting the life of the Buddha has grown out of my teaching courses in art historical methodology and textual sources of Indian art, during the last few years at the Baroda University. Some of the ideas in their initial stages were presented in a Seminar on Pala and Sena Art at the School of Studies in Ancient Indian History and Culture of the Jiwaji University, Gwalior. Invitation to a seminar at the department of Fine Arts of the Punjab University (1980) and during January 1981, the invitation to deliver the Dr Radhakamal Mukherji Memorial Lecture Series of the U.P. State Lalit Kala Akademi at Lucknow, provided the opportunities to expand the material and to have a feedback. I am thankful to the respective heads of institutions for the alued encouragement, namely Prof. B.N. Mukherji. Prof. R.N. Misra, Prof. B.N. Goswami and Shri O.P. Agrawala. An earlier version of the type script had been read by Shri C. Sivaramamurti, whose affirmative opinion impelled me to prepare the material for publication. The final text has had the privilege of being scrutinized by Dr Grace Morley, to whom I am grateful for sparing the necessary time. Help was also rendered by my colleague Shri. Deepak Kannal and two of my research assistants, Shri Shailendra Kushwaha and Shri Shivaji Panikkar, and the young photographer Shri Himanshu Pahad. Shri Jaidev Jani assisted me with the Sanskrit texts. The Publisher Shri Jayant Baxi, deserves special thanks for undertaking to see it through the press. For helping me in my frantic search for the necessary photographs, I also wish to thank the Directors and Curators of the National Museum, New Delhi; Government Museum, Mathura; Government Museum and Art Gallery, Chandigarh; State Museum, Lucknow; Indian Museum, Kolkata; Birla Academy of Art and Culture, Kolkata; Patna Museum, Patna; Prince of Wales Museum, Mumbai; the British Museum, London; and of course the Archaeological Survey of India, New Delhi. I have special gratitude to Dr M.A. Dhaky and Shri V.R. Nambiar of the American Institute of Indian Studies, Varanasi. This work is a modest attempt in applying a certain art historical methodology suggested by my exploration of the iconological studies of Erwin Panofsky and Ernest Gombrich. It is not therefore intended to be a full account of Buddha’s life either from literary texts or sculptural representations. 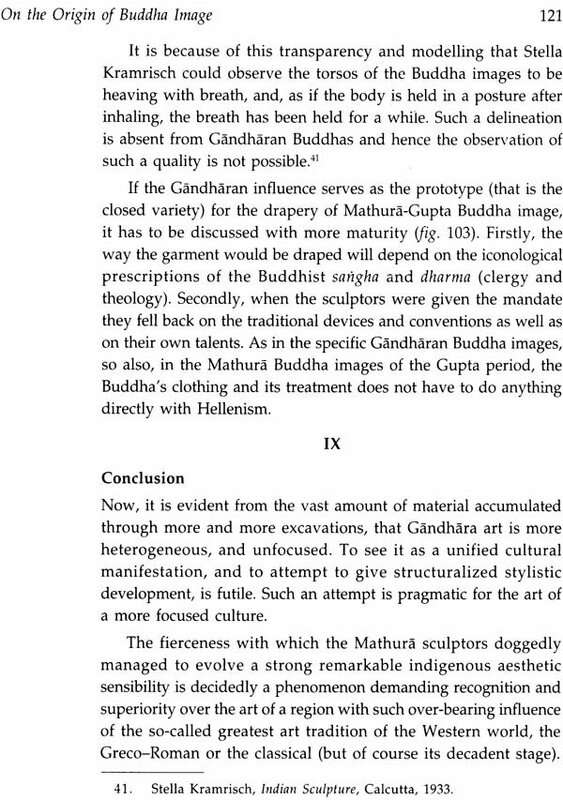 But because of the survival of detailed accounts of the Buddha’s life from the vast Buddhistic canonical literature and the consistent depictions of the episodes of the Buddha in sculptural relief’s it has been possible to embark on a comparative analysis of the textual descriptions and the sculptural versions. Such an exercise has led me in the direction of concentrating on the visual narrative as the most characteristic aspect of the Indian sculptural reliefs. 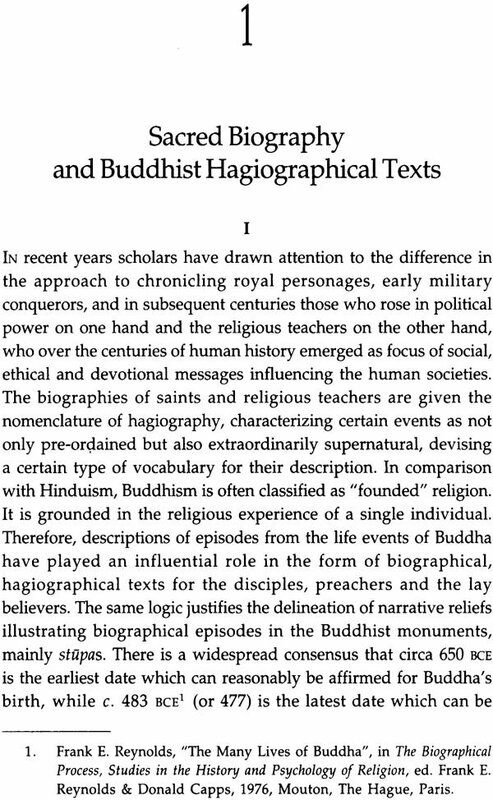 Indeed, life of the Buddha easily lends itself to the iconological study and the analysis of the narrative. Eventually, I have arrived at a significant conclusion that iconography is the result of the process of summarization of the narrative and the active role of the artists in this process. 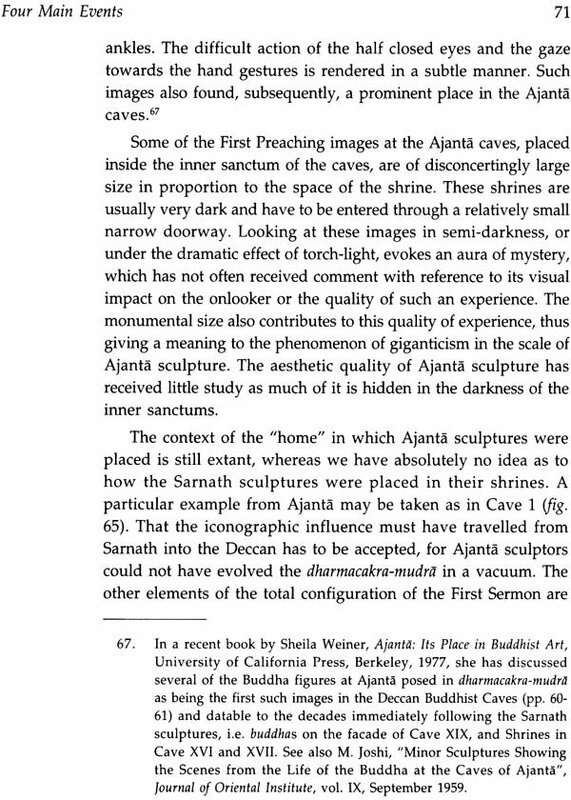 Since there already exists a comprehensive formal analysis of Indian relief sculptures carried out in a masterly way be Stella Kramrisch in her great little book, Indian Sculpture, 1933, I have restricted myself to the above – mentioned framework. But, undoubtedly her profound perceptions have been a source of inspiration in my study of Indian sculptural tradition, ever since I came across her writings. When I began the present enquiry, I did not wish to tread on the tricky path of delving deep into the actual literary texts and in the matter of comparing them among each other. 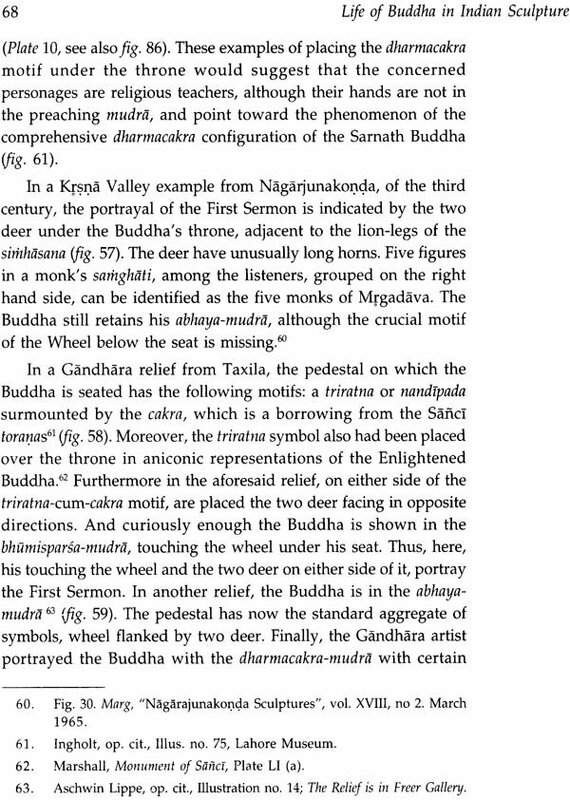 My studies revealed that scholars have tended to be interested in piecing together all accounts to weave into a connected story of the Buddha’s life. Curiously enough, the work of pinpointing the crucial differences in the various literary accounts has not been fully handled so far. 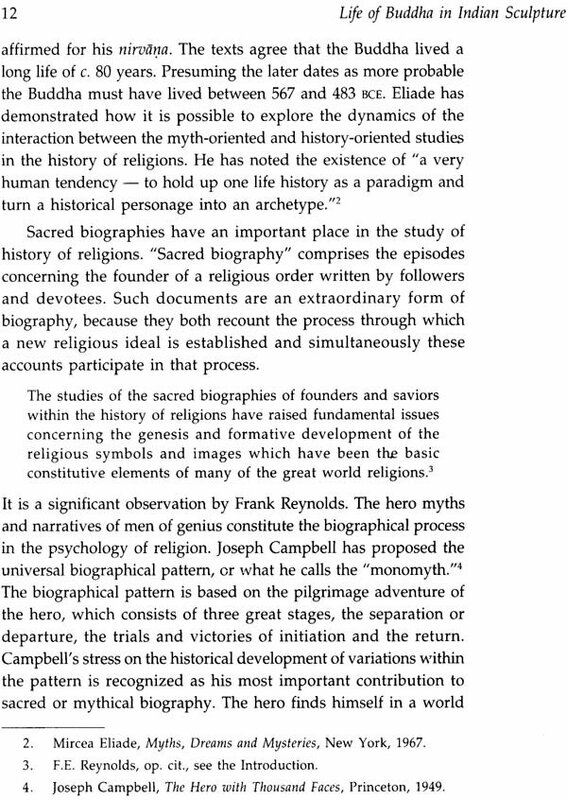 That is why I have drawn attention to it in a short Appendix, although it is properly the area of investigation by the Buddhologists and the language experts. It is their data that should have been normally the basis of a study undertaken by me. Even then, I felt as an art historian I could try to see how much could be done within a limited objective. As it has turned out, the small book could also serve the purpose of an essential coverage of the Buddha’s life, useful to art historians as well as students of his religion. 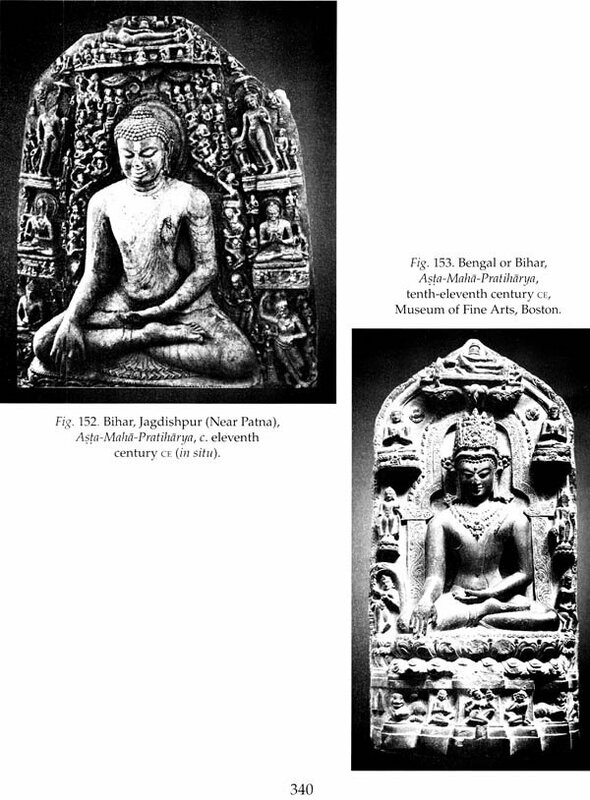 MANY events from the life of the Buddha have been depicted in sculptures and monuments by Indian artists during the span of more than a thousand years from the Sunga to the Pala dynasties. Episodes of the Buddha's life not only continued to fascinate artists but also retained their popularity with devotees as well as the masses. The episodes inspired some of the greatest relief compositions in Indian art and are to be counted among the world's outstanding narrative sculptures. 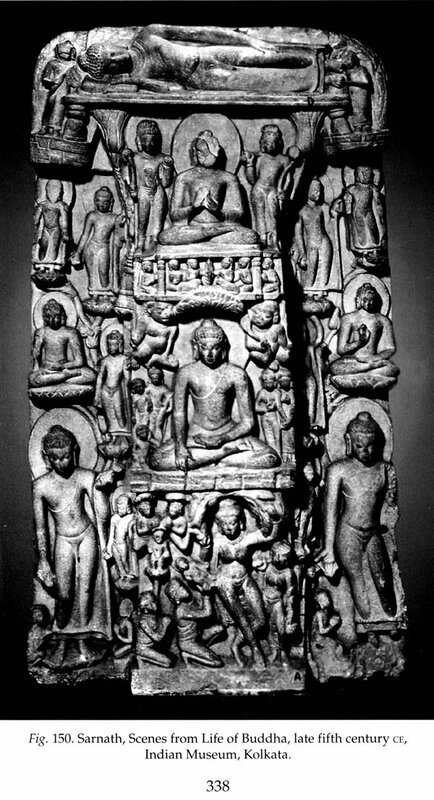 These relief compositions constitute a veritable biography of the Buddha, depicting his spiritual journey from his sheltered life of worldly pleasures and temptations as a young prince, to his attainment of the highest knowledge through meditation, eventually to reach the state of final extinction (i.e. parinirvana). It is not intended in these pages to cover the entire gamut of events of the Buddha's life, but only to consider the major eight episodes as they became crystallized over the centuries. 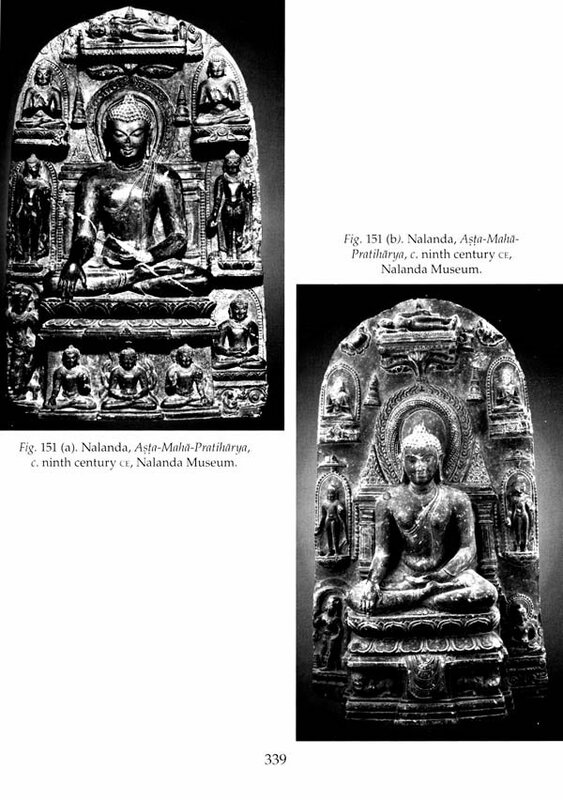 These asta- maha-pratiharya have been frequently represented in single sculptural reliefs (also called stelae) during the Pala period, dating from the ninth to the twelfth centuries in eastern India. Generally, such a relief consists of a dominant image of the Buddha in the bhumisparsa-mudra, signifying the Enlightenment, and occupying its central portion. 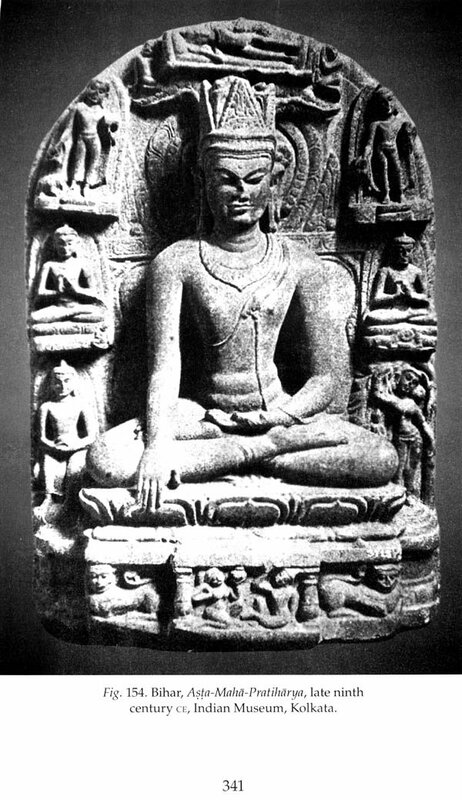 He is seated on a high throne (simhasana), surrounded by representations of seven other episodes from his life, beginning from his birth, shown on the lower left or right, to the final episode, the mahaparinirvana (see the frontispiece). While not all episodes are actual miracles, i.e. pratiharya proper - for example, the Birth by itself is not a miracle - nevertheless, once the Buddha was deified and ceased to be a historical person, all these incidents took on the significance of miracle, or miraculous occurrences were interwoven around them. 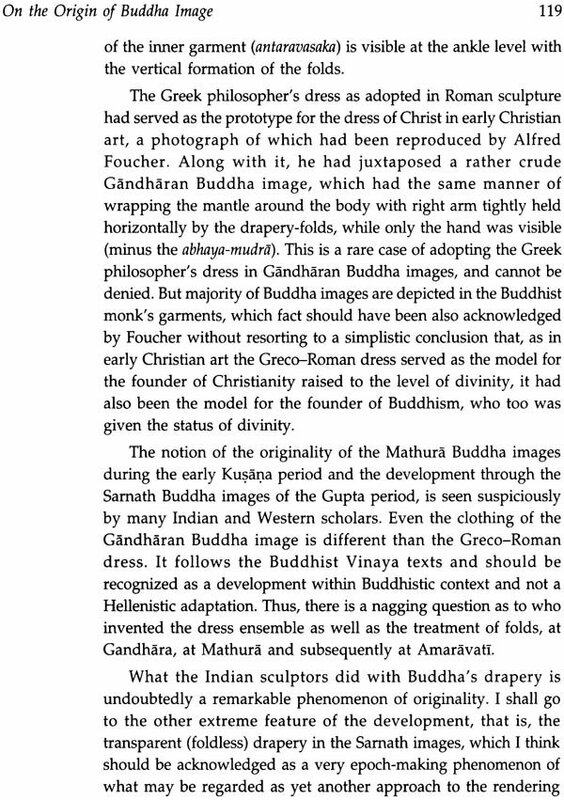 Foucher was probably one of the earliest scholars to trace some of the textual sources and sculptural representations of these miracles, while identifying and interpreting in particular the miracle at Sravasti. The dictionary meaning of pratiharya is "miracle" in the sense of a magician's tricks and in that sense the Miracle at Sravasti is appropriately a miracle.